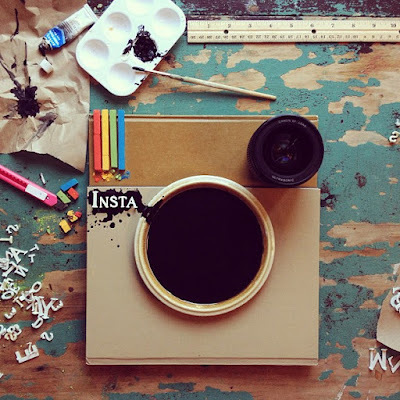 Instagram is one the most addictive social networking services. Once I start watching my instagram newsfeed, I can't stop! You can see what bikini Rihanna wore (or didn't wore) yesterday, what Karl Lagerfield had for dinner and with whom Cara Delavigne was this morning. But besides all the celebrities that go wild on Instagram, they're some amazing people who really put an effort into their accounts. Gretchen Roehrs is a foodie fashionista who plays with food and fashion at the same time! Her images are the most unique pics on Instagram! They're many fashion illustrators on Instagram but this account is different than all the similar ones. The illustrations are different and there is always a bit of sarcasm on the images. My kind of girl! So this is what I call inspiring photography! Fabien Baron is an editorial director, travels around the world and captures on Instagram the most amazing places in the world! I don't know much about Lauren Conrad other than she is an American celebrity. But her Instagram acoount is gorgeous. Looks like she (or her people) puts a lot of effort in every image. And her dog is a cutie! Caroline Issa is the alternative fashionista. Her choices are less bold but more chic and fabulous. Definitely my style! Even though we are not as cool as the ones mentioned above (yet), if you like to follow us on Instagram you can click here.